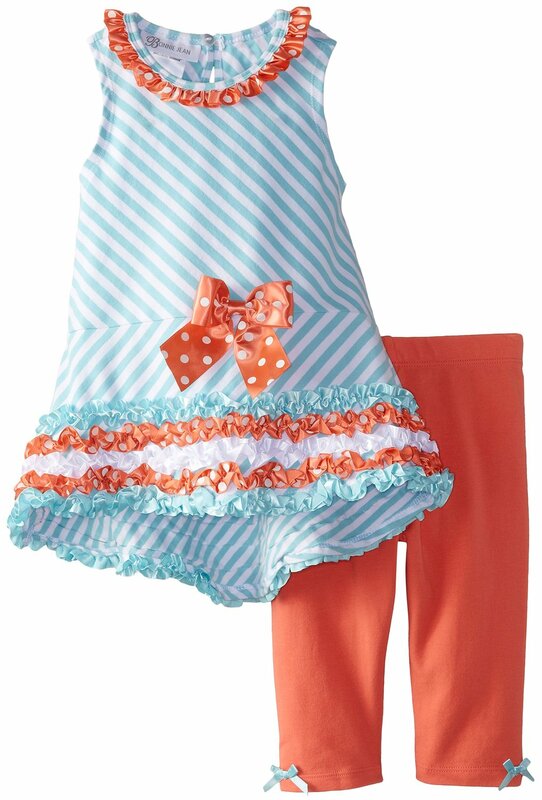 Adorable turquoise and white striped knit tunic features coral and turq ruffles and dot bow. Matching cotton spandex leggings complete the look. Machine wash. Imported.